Does a Roaster Oven Cook Faster Than Your House Oven? Boneless Turkey Breasts: Cook Covered or Uncovered? A woman is pulling a turkey out of the oven. 1 Does a Roaster Oven Cook Faster Than Your House Oven? 4 Boneless Turkey Breasts: Cook Covered or Uncovered? 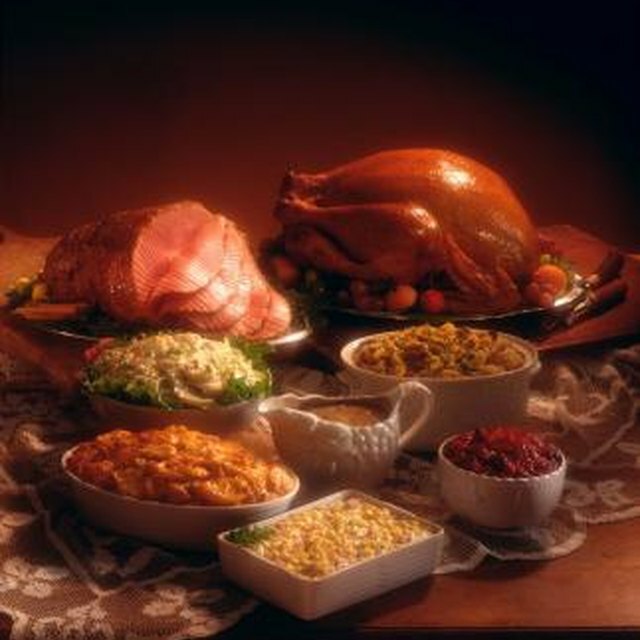 Electrical roaster ovens, such as those made by Rival, are a convenient way to make the main part of a turkey dinner. Cooking the turkey in a roaster oven allows you to free up your conventional oven to bake side dishes and dessert. If you're used to roasting your turkey in a conventional oven, using a roaster oven may seem daunting, but if you follow some basic tips, you should end up with a turkey that is brown and crispy on the outside with succulent meat inside. When using an electric roaster oven, read the manufacturer's instructions before roasting your turkey. It's not only potentially dangerous to ignore these instructions, but even failing to follow minor points can affect the success of your turkey dinner. Always use the removable roasting pan that comes with your oven roaster rather than substituting a different pan or placing the turkey directly on the roasting rack. Also ensure that you clean the roaster properly after each use so that you start each meal with a clean roaster oven. One of the surest ways to ruin a turkey dinner is to dry out the bird. Ensure that your turkey is nice and juicy by resisting the urge to lift the roaster's lid to check on the turkey. Removing the lid not only decreases the roaster's temperature but also allows steam to escape, which will deprive the turkey of moisture. Also let the turkey sit for 20 to 30 minutes under a foil tent after you remove it from the roaster oven. If you cut into it before the juices have had a chance to redistribute themselves throughout the bird, you will lose a significant amount of moisture. One of the trickiest parts of cooking a turkey is achieving a crispy brown skin without drying out the rest of the meat. Brush some butter or oil on the turkey's skin before placing it in the roasting oven to encourage crispier skin. Also avoid adding any other liquid to the roaster until only 30 minutes of cooking time remain. If you have the room, consider removing the turkey from the roaster for the last 45 minutes of cooking time and cooking it in the conventional oven at 400 degrees Fahrenheit to give the skin a chance to get nice and crispy. You can add flavor to your roaster oven turkey in the same ways that you would if you were cooking it in a conventional oven. This can mean putting the turkey in a brine solution before roasting or injecting a marinade or rub under the skin. Also be sure that the turkey is sitting on a rack above the bottom of the roasting pan so that it does not sit in its own drippings or juices. Finally, always ensure that your turkey is safely and properly cooked by checking its internal temperature with a food thermometer. Your turkey is not done until a food thermometer placed in the thickest part of the breast reads at least 165 degrees Fahrenheit. Should I Cook My Turkey if It Is Smelly?